If jobs are outsourced what future is there for the next generation? Most accounting firms are actually in a position where there are simply not enough experienced staff. I speak to firms regularly facing the continuing problem of staff moving to perceived greener grass (UK/US position, financial services, mining industry etc). So accounting firms can’t keep up with the work – hire juniors to do senior jobs and the accounting firm clients suffer from lack of attention; limited or no business advice and negligible/no value-add services. I am sure our economy would thrive better if many neglected SMEs had access to good business advisory services at the right time to help handle GFC, drought, flood or just the usual problems SMEs struggle with. In a global playing field where the online phenomenon makes the world flat for many businesses (i.e. more competition), I would feel more comfortable knowing Australian businesses got all the help they could get. Outsourcing value-add services, especially those requiring emotional intelligence and a lot of face-to-face consultation, probably won’t be outsourced in any volume (if at all?) for another generation. The culture difference is just too much. So there are plenty of opportunities for those willing to expand beyond compliance. Having recruited for accounting firms for years and having heard from accountants why they leave their jobs, I know often it is because of a lack of progression. 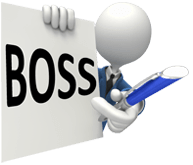 Bosses are too busy to give their staff enough time and corporate style training programs remain limited to 2nd tier and big 4 companies. Soft skills suffer and communication skills demonstrated by (probably technically good) immigrants improve little. Many are reduced to backroom workers hoping that something will change but never really knowing what’s going on. Hardly any firms promise juicy business consulting work – they need compliance people first. So clients suffer, employees suffer and YOU suffer. But outsourcing your compliance work changes this. Boring compliance work is efficiently handled by your outsourcing partner, you have time to meet more clients and really look after them. You can identify all those value-add opportunities your clients are silently crying out for. You have time to coach staff on business advisory work, schedule soft skills training and open up a career path that (be honest) you just couldn’t make happen without getting that nagging compliance work out of the way. Who would be the employer of choice in your area if you did all this? What businesses would benefit if you made this (easy) shift to outsourcing? What future would your clients and staff now have? Looking at the wider picture, Australia has a very promising future and a myriad of accounting/finance jobs will likely continue for a long time. Growth is still predicted to be strong in accounting and finance (according to the Australian Bureau of statistics), Asia’s economy will continue to grow and become the dominant force and Australia can capitalize on all this. Jobs change and jobs shift. Web developers charging $400/hour in the 90’s have to face the fact that a novice can build an e-commerce site in a few hours! There’s no stopping the inevitable changes and the opportunities that open up in new directions. So I think the issue really is: when do you integrate compliance outsourcing into YOUR firm to give YOUR current and future staff (and clients) a better future?